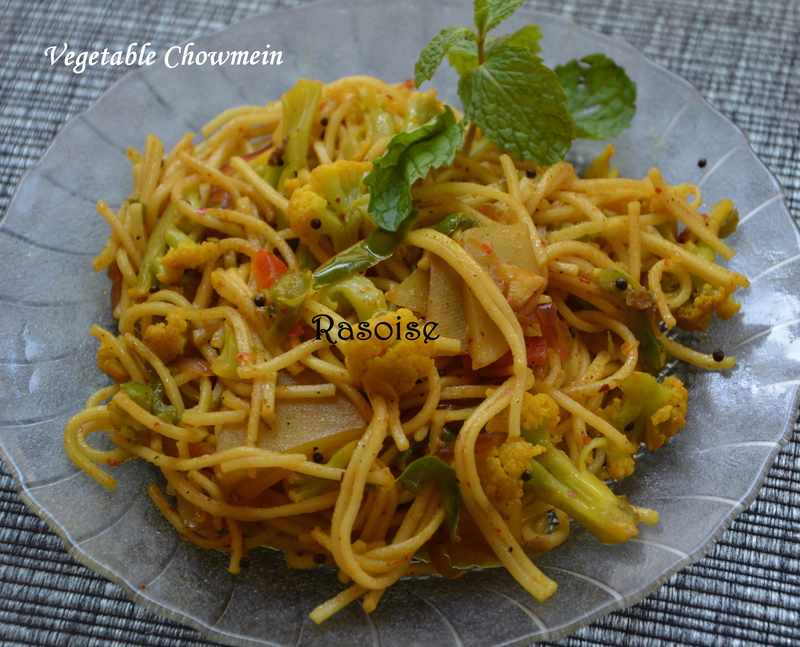 Vegetable Chowmein is very famous dish amongst kids. They love eating it. Add more of vegetables to make it healthier. Boil Noodles in enough water. Take care it should not be overcooked. Strain the noodles through cold water 2-3 times and drain water and set aside, Add few drops of oil to the noodles to avoid sticking of noodles. Heat oil in a wok and add sliced onions, green chilli and ginger paste. Saute till onions become transparent. Add all other vegetables and saute for another two minutes. Add salt and other dry spices and mix well. Add vinegar, chili sauce and soya sauce and saute for a minute. Now add boiled noodles and mix well. Let it cook for 2-3 on low flame. 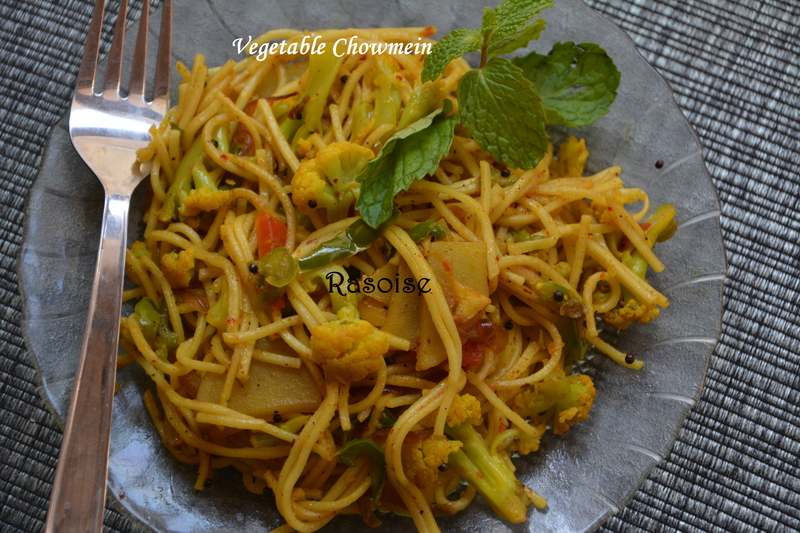 And now chowmein is ready. Serve hot with tomato ketchup. 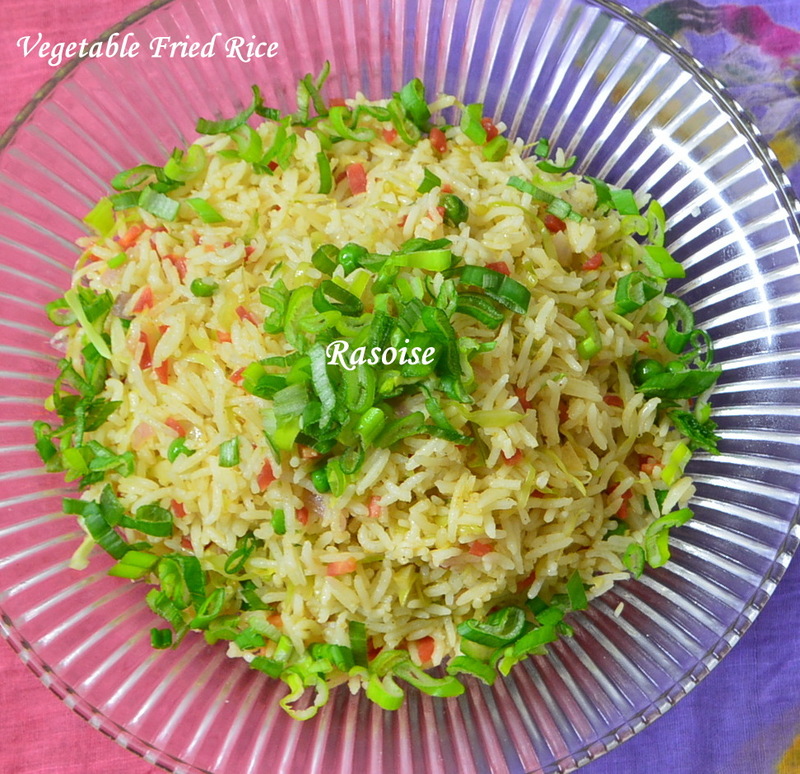 Fried Rice is an Indo Chinese recipe. Whenever we visit a restaurant for Chinese, fried rice will be definitely in the order. 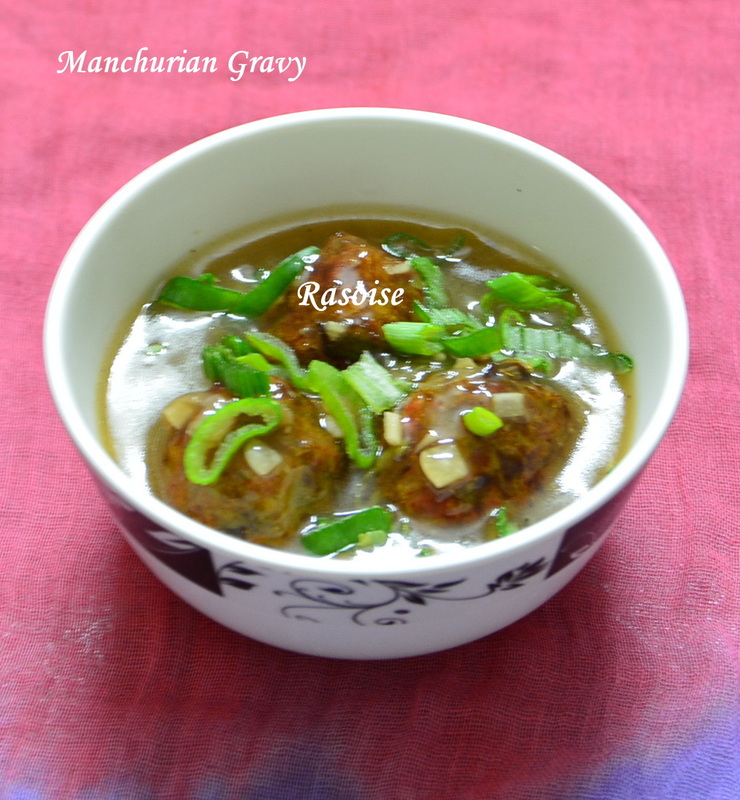 It goes well with any kind of gravy Manchurian, be it veg or non veg. 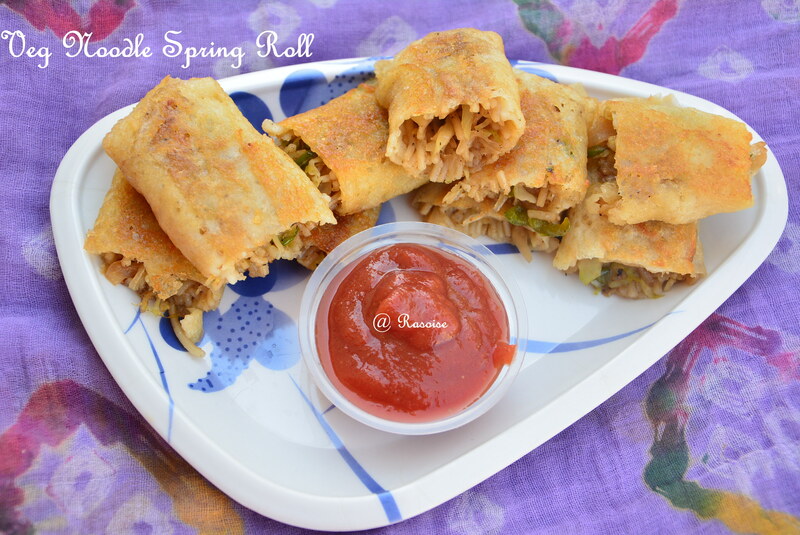 Fried Rice is nutritious dish as it is mixture of rice and vegetables. Soak the rice in water for approx half hour. Cook the rice in four cups of water till the grains are just cooked. Strain through a colander and allow it to cool. Heat oil in a wok. Add spring onion white, ginger and garlic paste. Saute till golden brown and add all the vegetables except spring onion green. Continue stirring till the vegetables are cooked. Add salt and black pepper. Now add cooked rice. Mix them well. Add soya sauce, chilli sauce and vinegar. Saute and mix them. Stir the rice light handedly otherwise it will become mushy. 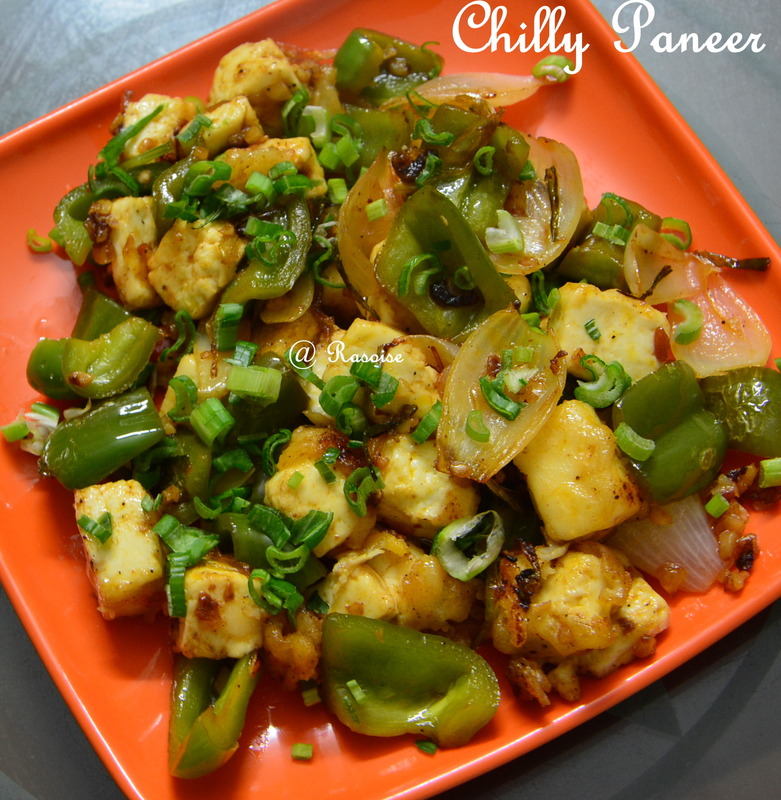 Serve hot with Vegetable Manchurian. 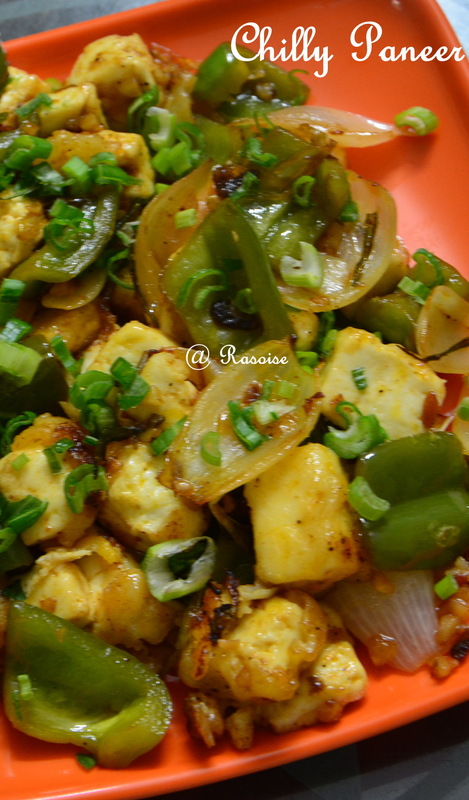 Click Veg Manchurian to see the recipe. There are two versions of this Chinese dish , gravy and dry. 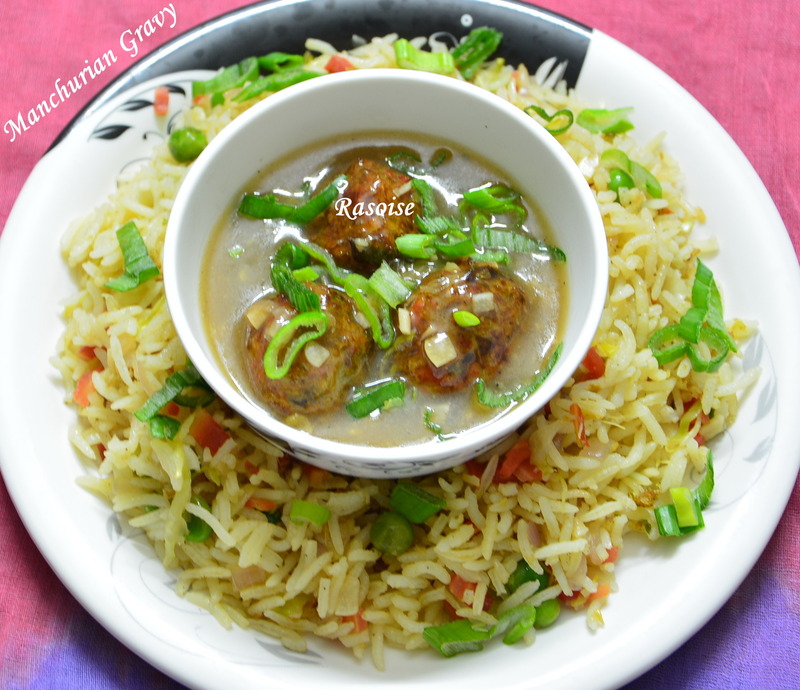 Vegetable Manchurian (gravy) is a great side dish which goes well with Chinese main course, be it rice or noodles. 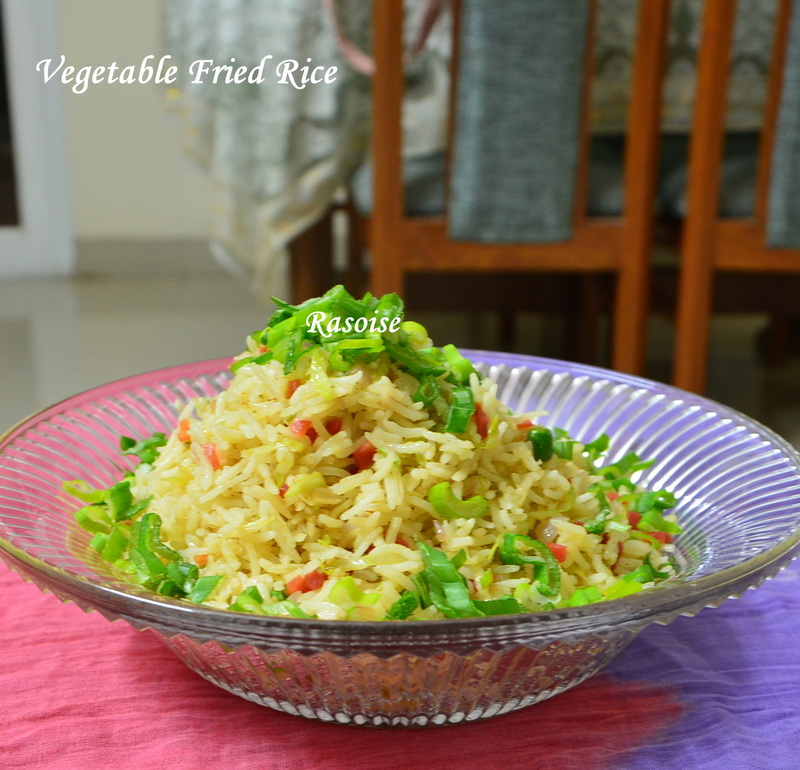 I love Vegetable Manchurian with Fried Rice. Take a bowl, add all the ingredients under Manchurian balls. Mash them thoroughly and make lemon sized balls. I made 11 balls. Heat oil in a wok. Deep fry the balls until golden brown in color. Now, for gravy, Heat oil in a pan and add garlic. Saute till light brown and add ginger and green chilli. Add onion white. Sauté till transparent. Add soya sauce, chilli sauce, pepper powder, salt and sauté for few seconds. Add vegetable stock and bring it to a boil. Add diluted corn flour slowly stirring continuously on low flame. Bring it to boil. The gravy will thicken. Once it thickens the gravy is ready. Add Manchurian balls just before serving and garnish with spring onion green. 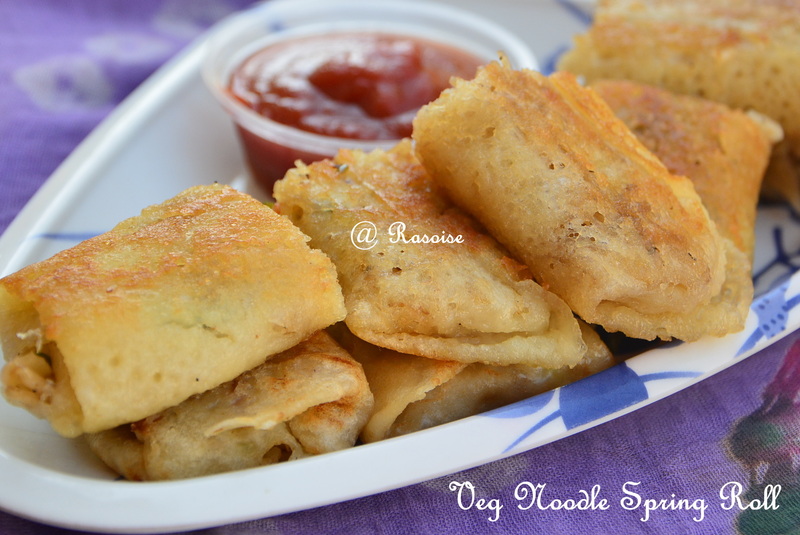 Serve hot with fried rice or noodles! !